Allyn Pierce really loved his Toyota Tundra, and even had a special nickname and logo for his truck: the Pandra. 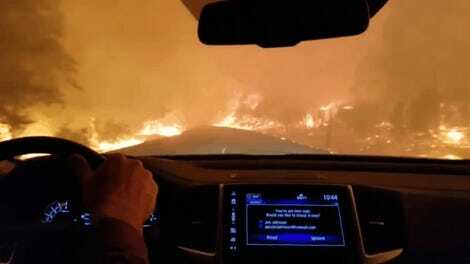 Pierce is a nurse who managed the ICU of the hospital in Paradise, CA, the site of the state’s deadliest wildfire ever. 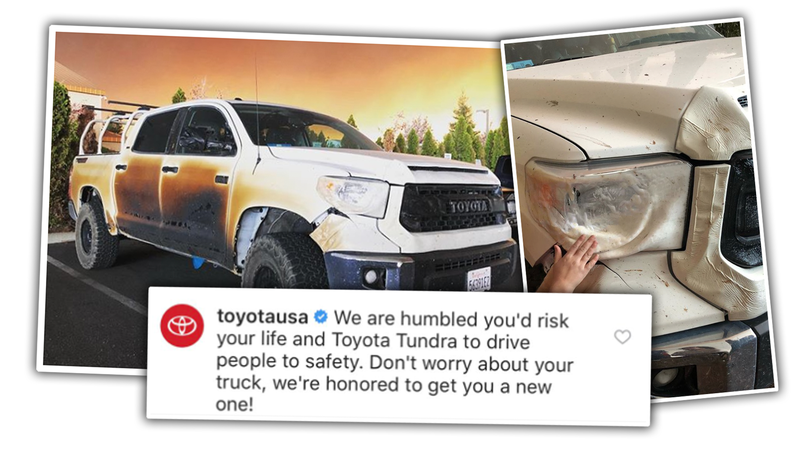 When the fires were raging, he drove the Pandra back into the flames to help people, severely damaging his truck in the process, but Toyota has stepped up to give him a new one. According to the New York Times and social media accounts, Pierce’s Tundra now has the coloring of a perfectly-cooked campfire marshmallow, and almost all the plastic bits, including light lenses, grille surrounds, mirrors, trim, and more, has the look and feel of a piece of Velveeta melted on some toast. Pierce was stuck in traffic, attempting to evacuate like so many other residents of the town. When a bulldozer driven by some still-unknown badass knocked a path free for him to drive, instead of leaving, he turned back around into the flaming town. The goal was to go back to the hospital, where around two dozen injured people were awaiting help. Pierce and other members of the hospital staff set up an emergency triage center on the hospital’s helipad and began to treat people. Eventually, firefighters cleared a path for escape, and Pierce helped to caravan out victims in his Tundra to safety. We’ll update when we get more details about Toyota giving that replacement truck. 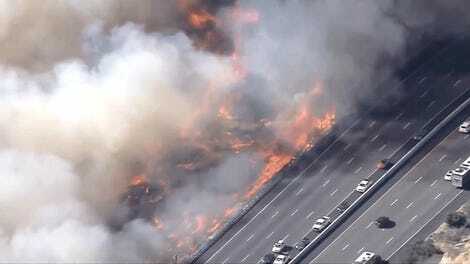 These fires are, of course, terrible. But, the one bright spot is that these sorts of things do help us see how selfless and wonderful people can be, which is always worth remembering.